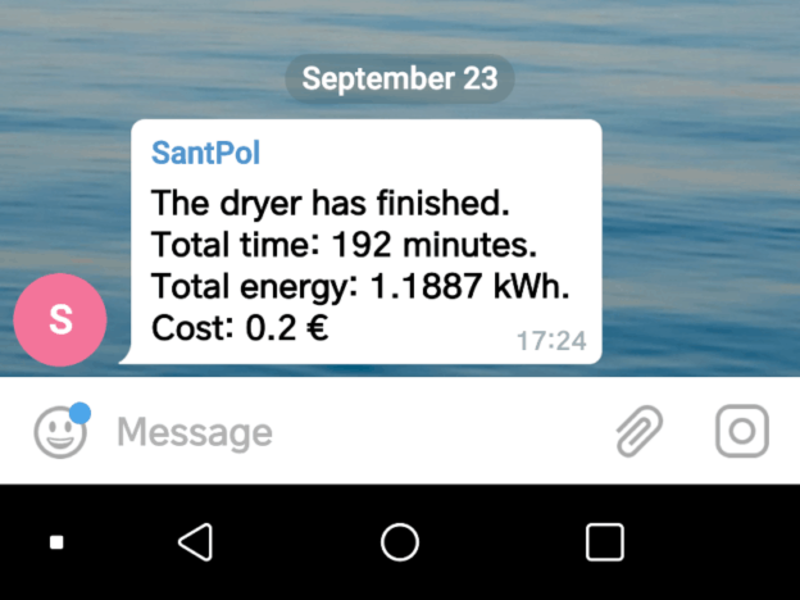 Web and firmware developer Xose Perez needed a way to keep tabs on when his washing machine had finished a load of laundry, based on the amount of power consumed during the washing process. There was a good reason for this, as his machine was located in the basement and was easy to forget about, and thus, he would have to rewash the load. To monitor how much power was used for every load, and to get an alert message when it was finished, Perez repurposed an ITead Sonoff Wi-Fi wireless switch to get the data he needed. The Sonoff is a cheap wireless switch, but it features an onboard ESP8266 chip, which is perfect for gathering and sending data over long distances. In a recent tutorial, Perez detailed how he designed a way to get useful notifications from home appliances using the ESP8266, along with the flow-based visualizer-programming tool Node-RED. The secret to his design is his ESPurna firmware, which is tasked for ESP8266 smart switches and sensors, and uses Arduino Core, along with several third-party libraries to get a host of information about your appliances. Of course, you’ll need thermal, electrical, and other sensors wired to the ESP8266 module to gain that information, but you can use nearly any monitoring/analytics software, such as InfluxData or Grafana to get a graph-form readout. To get an MQTT-based alert message sent to his smartphone, Perez created a Telegram bot, which lets you receive a short message with whatever data-driven information you want by using a Bot API. To read a complete walkthrough of Perez’s Node-RED notification platform, along with links to his GitHub page, head over to his website at Tinkerman.cat. Receive Useful Notifications from Home Appliances using Node-Red was originally published in Hackster Blog on Medium, where people are continuing the conversation by highlighting and responding to this story.